In social media, we just go to your profile and we will know who you are by just going into your timeline and status updates. You will know immediately if they are married, with kids, love pets, in business or more, right? So its like a restaurant, we are passing by (scrolling down in the news feed), something attract with you to check it out like for example a good price menu, food selection etc (your profile picture ). You went inside to check it out (clicking their profile what they up to) and then if you like the selection of food you sit down and order (In this case, you like some of their posts and send them a friend request) right? Then both of you get connected. Now, you know that your status updates is your real estate in social media especially if you are doing business. It's time to give you insights and ideas of what to post. For example, what are you exactly doing right now like hanging out with friends or doing your day to day activity, take some pictures and show that you are a normal person in Social Media. Remember social media is about connecting to other people, not to pitch your business opportunity and vomit with them. It's about to get to know them and vice versa. So make sure to share your normal life. For example you have this small success like being newly promoted in your business, make sure to share it to your status updates. If you get a new leads share that, also share stories about your leaders being promoted their downfalls and how they get back on track. If you are having some problem or struggles like for example myself, back home we are financially struggling when we were studying in college. Somehow God-willing, our relatives helped us finished our studies. It started with a struggle with money but with the helped of our relatives and our perseverance, here I am living in my dream land. Make sure to share not only successes but also struggle, just make sure that you have a plan in order to overcome your struggle. Be vulnerable if you want to be, but if you don't want to that is okay. Start showing your wins and start leveraging what you have. When you got a lead in your marketing strategies cor ompany, share it. Receive a good comment, share it. This proves that you are doing very good in the business. It doesn’ t necessarily have to be about money as a social proof. It could be any social proof that you get success, your team member or your team leader. Also share why or how this quotes inspire and benefit you. The next one is probably the most common post that we do and that is in Tip 5. People want to see how successful we are and how you are living the dream of your life. How you can able to retire early and how you able to do that. Share your blog post (just a teaser or snippet from your blog). If you have a tutorial, training or Free PDF share it with them. Link them to your blog. Posting videos make you visible to more people and get connect with them easier. 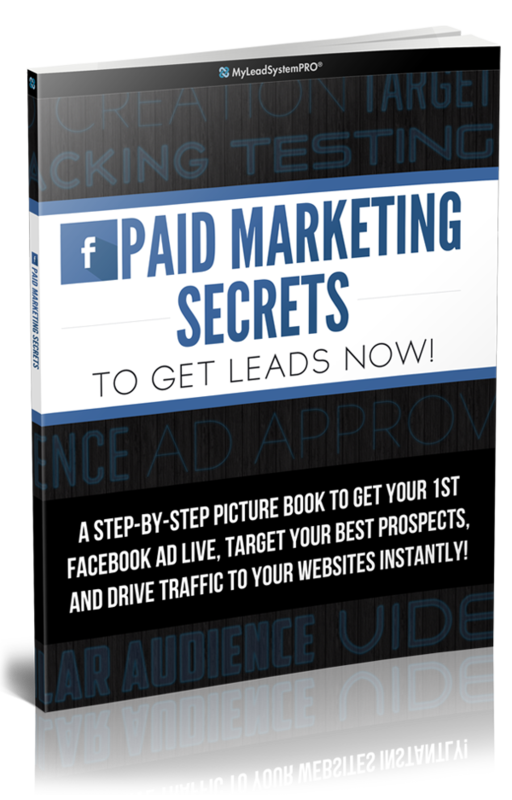 Facebook Live or any livestream is now very hot to use in your marketing strategy. This allow everyone who watch it to get to know you more, engage with them easily and be connected faster in timely manner. If you want to know more about what topic to share in your video, I have a PDF cheat sheet (101 in video marketing ) that you can have to enhance your knowledge on how to use this video. There you have it. Those are my tips for you for today. 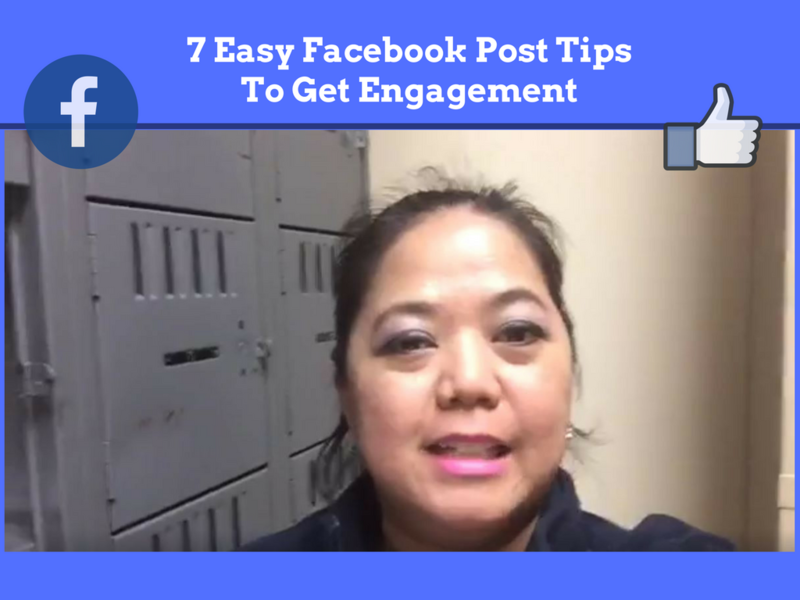 The 7 Easy Facebook Post Tips To Get Engagement.